Ever wanted to clicker train two pets at the same time? The Clik-R Duo is the perfect training tool for multiple pets. The green button is a traditional click, and the yellow button is a triple-chime sound, for a more versatile training tool. 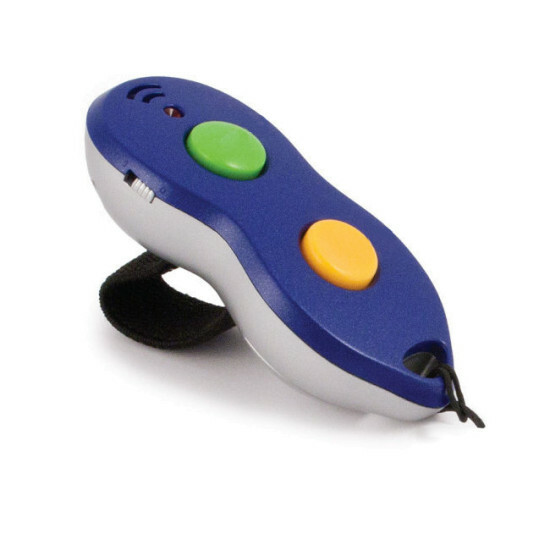 You can use this clicker to assign a different sound to each pet, so you can train two pets at once. You can also use this to train one pet, with one sound as a cue for a specific command such as Come and the other as a marker that means a reward is coming. Clicker training is a clear way to train your pet using a click and a reward to tell your pet he’s done something you like. The click sound tells your pet a fun thing is coming – a small, tasty treat or toy as a reward. It doesn’t take long for pets to understand how to play this game, and once they learn, they’re usually eager for more. Professional dog trainers love the Clik-R Duo for teaching people how to train their dogs, using one sound to mark the dog’s behavior and the other sound for when the handler gets it right.